Gold restriction removed and a new game mode added! 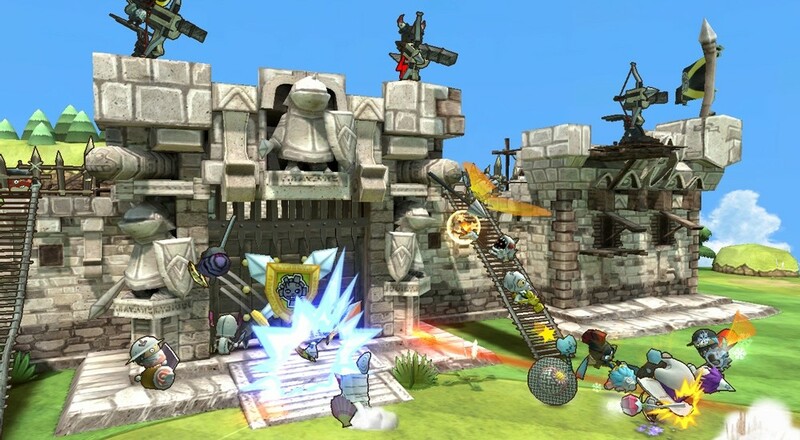 Developer Toylogic has released the 11th update to Happy Wars, the online multiplayer action game featuring 15 player co-op. The game can now be enjoyed by all Xbox 360 players, regardless of their subscription level. Free Xbox Live members can now access the entire game except for multiplayer missions and treasure map sections, which remain exclusive to Gold members. A new game mode, Bounty Hunters, is also included in the update. In this new game mode, teams compete over the total bounties earned, which are acquires by killing enemies, conquering towers, and destroying the enemy’s Big Tower. The Bounty Hunters mode runs until Januray 29th. Skirmish mode has been modified and is now called Training Mode. The main difference here is that players now earn scores, items, and Happy Stars while playing. The item leveling system has also been updated, as items now gain experience during multiplayer use. Lastly, the update includes some fixes for various crashes and issues, so you should encounter a smoother experience all around with the game. Have you downloaded the update yet? What are your thoughts on the new features? Let us know in the comments! Page created in 0.2508 seconds.